Children love exerting their independence, so here’s a great way to allow them to choose and display their favourite books, at their eye level. And it’s a bonus that this bookrack is stunner. One thing my children have in spades is books. They have piles and piles, and it’s one thing I’m never going to curb – as far as I’m concerned kids can never have too many story books. What can be lacking though is storage solutions. 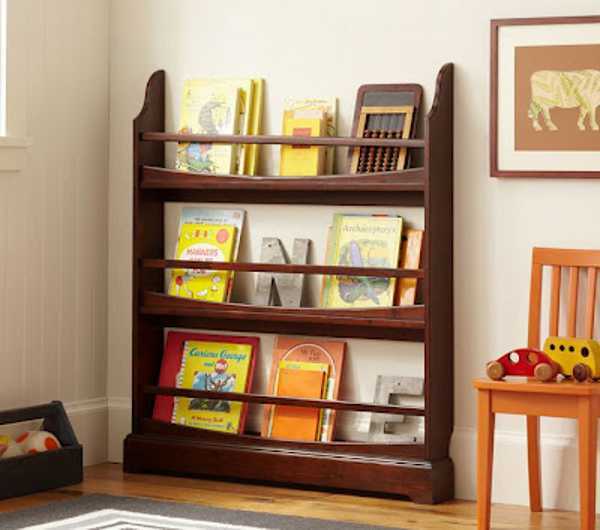 This one is beautiful, and it puts the books within easy reach of little readers. Whenever a children’s decor item is prefaced with the words Pottery Barn Kids, I already know I’m going to love it. The American decor giant has brought its delicious decorator know-how to Australia and parents are rejoicing with the plethora of amazing items on offer. 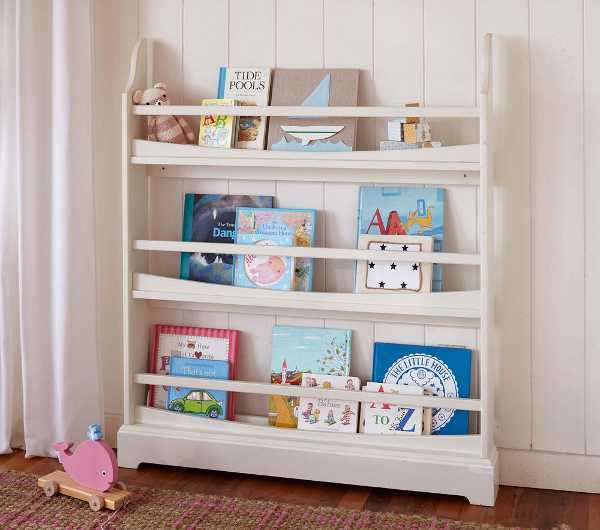 The Pottery Barn Kids three shelf book rack is designed to display books, allowing children to easily identify their favourites. Crafted from kiln-dried solid hardwood, it’s built to last, and comes with mouting hardware to secure it to a wall. It comes in either white or Sun Valley Espresso – which is a rich, dark timber finish. It’s priced at $196, plus shipping, which is available Australia-wide from Pottery Barn Kids.